We start at Burwood Village (corner of Toorak Road and Warrigal Road), walking one block towards the city, then turning left into treelined Myrniong Street, and walking to Burwood Reserve. There is a toilet to the left, near the playground. Our walk passes on the right hand side of the clubrooms, and follows the path heading south through a right-of-way to Loloma Court. Cross Bath Road, into Lillian Street. This is gently downhill, and shows the usual attractive mix of mature street trees (paperbarks in particular) and older and newer homes. Continuing past Gatis Street the next cross road is Madeline Street, where we turn right. In a few minutes, we reach Madeline Street Reserve (Melway 60 F8), a small reserve, but it still has shade, a seat, a playground, and water. Walk diagonally across it, then south along Vears Road, and right into Rowen Street. In 50m, our next small park has a diagonal path (going SW) and even a BBQ. You exit this 20 Burwood Bulletin March – May 2018 park into Liston Street, and again in less than 50m enter what may be the tiniest park for the day, but it still has shade, two seats and a beautiful neighbouring gum tree. Continue south along Chaleyer Street, and turn right (west) at its end. Just 50m along, at a slight bend, is a right-of-way heading south, which finishes at the back of Ashburton Primary School. Turn left (east) to the top of the rise and enter a much bigger park. Walk southerly through Ashburton Park from its NW corner playground, past a scout hall, to cross High Street, and enter Warner Avenue. Continue south past the Bowls Club, pool and recreation centre to the next large park, Warner Reserve. Enter this park and walk south, then west, looking for distant landmarks as you go. Continue westerly from the park along Alamein Avenue (milk bar close to this street) to Alamein station. Turn left at the station, then along the Anniversary Trail. After 200m take the first exit on the right (very obvious railing descending from the old railway alignment). Walk westerly along Lucerne Street, which turns northerly and becomes Burbank Street. At Baird Street, turn left and walk to Munro Street, entering Watson Park (60 C11). This is a great spot to rest, with lots of facilities, including a toilet in the NW corner. The street heading south (then west) from this corner, is Chamberlain Street, which changes to Donald Street at a bend where it crosses Albion Road. Continue on to Pitt Street, turn right, then 100m later, left, crossing Gardiners Creek at a bridge. After crossing, walk beside the creek on an informal track (NW), then along grassy verges beside the busy bicycle trail. About five minutes later, we reach a street with traffic lights. Do not cross this road, but look to your left and you will see a concrete pedestrian overpass, which crosses the freeway and railway to Darling station (toilets on its main platform). From the overpass, walk under the elms and plane trees and cross into Illowa Street heading SW. Very soon you reach Malvern Road, which you cross, then continue south along Darling Road, noting the older houses and shopfronts still in place. The second street on the right is Paxton Street, where we enter our next lovely small park, the curiously named Dairy Park (59 J12). The reason for this name is well explained on a brass plaque on a bluestone wall. From here, walk along Paxton Street. Between 62 and 60 Paxton Street, there is a right-of-way heading south. At its end, walk left to the well-known Lloyd Street Primary School. Walk south along Lloyd Street beside the school, and at the end, turn right then left into The Avenue, a lovely tree-lined street to take us to our final park. At Waverley Road (68 H1,2), cross the road and the park entrance is just to the right. You can guess by this entrance that this park (Ardrie Park) is really something! 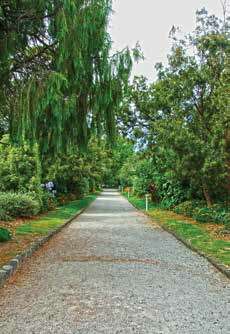 There is a delightful loop track which passes playgrounds, informal grassland, as well as formal gardens, picnic tables, water, toilets and friendly, well-behaved dogs. You will want to spend some time here. Return to the park entrance, then walk easterly along Waverley Road for about 25 minutes to East Malvern station (also has toilets). The shops at the tram terminus have plenty of eateries, and the huge Moreton Bay fig trees in Waverley Park near the station are a fitting end to this walk. Returning “home” is easy – take a Glen Waverley train just one stop to Holmesglen, then take the 903 Smartbus (on Warrigal Road – signage provided) north straight to Burwood Village. Mark is a retired Science and Chemistry teacher, who enjoys bushwalking and exploring public transport to access these walks. 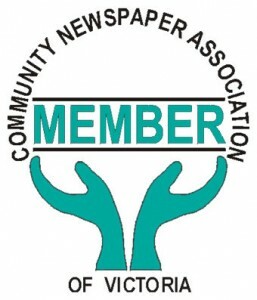 He has lived in Mount Waverley for about 40 years!